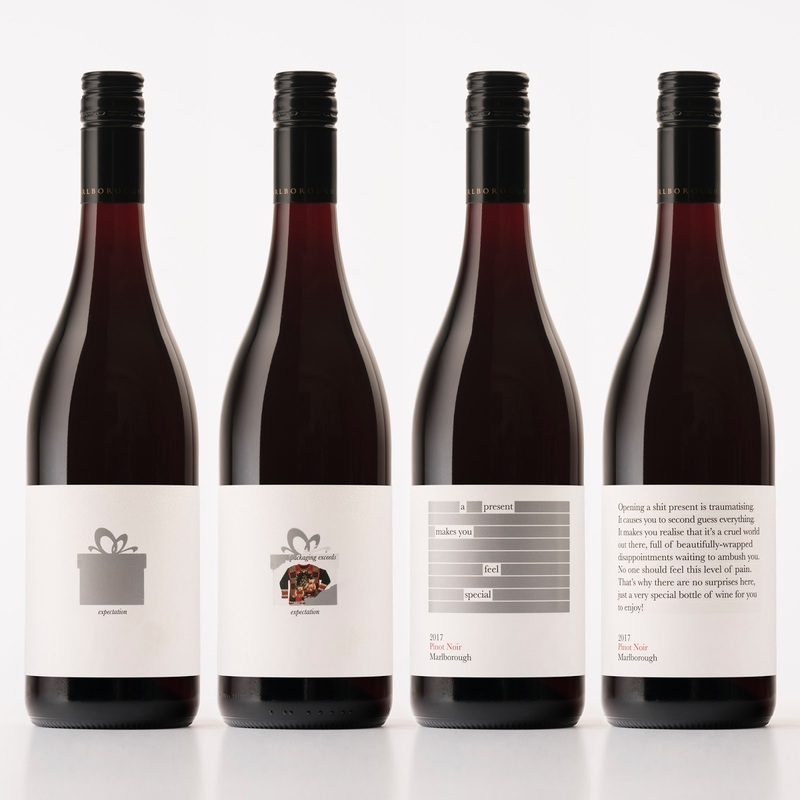 The Creative Method created a wine label series to act both as a Christmas gift and as self-promotion for themselves and a New Zealand label printing company called Label and Litho. 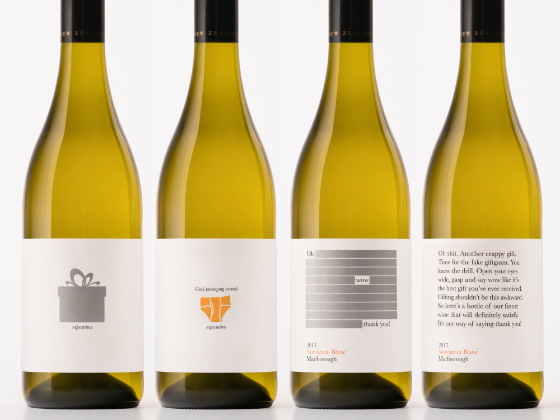 The labels needed to showcase the agency’s creative thinking, innovative printing techniques, stand out from the myriad of gifts people would be receiving, and ultimately get recipients to remember who we are and what we do. 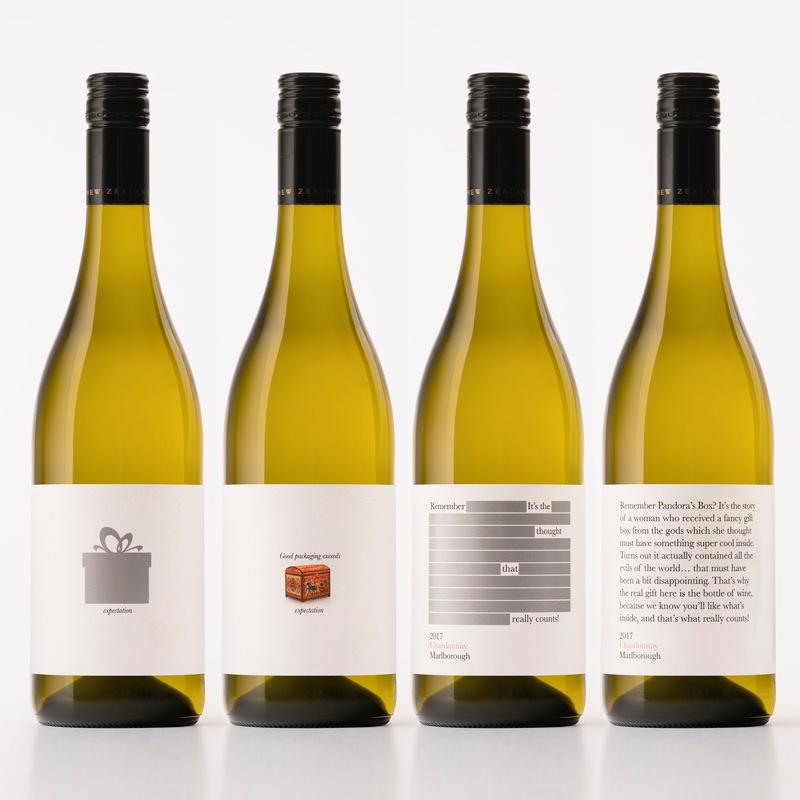 The design centred on the idea of the meaning and messaging of the label changing as people interacted with it. 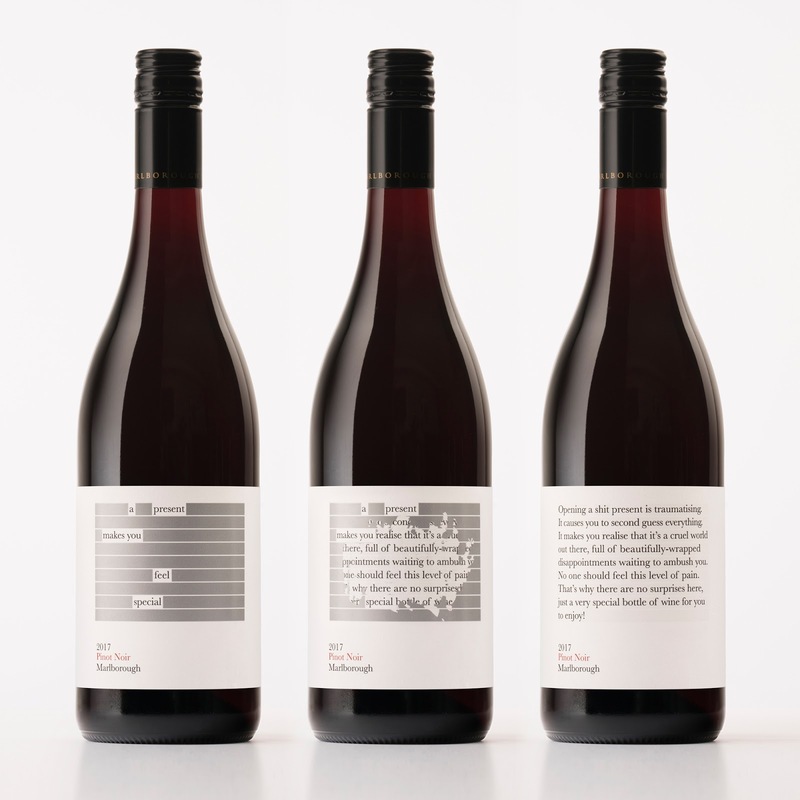 The copy was carefully constructed to work whether the label was scratched, or not. The core message was around expectation vs reality, and how sometimes we don’t end up getting what we expected. The labels were printed digitally and utilised scratch off ink, an embossed paper texture, and matt and gloss varnishes to further enhance quality and showcase Label and Litho's print capabilities. 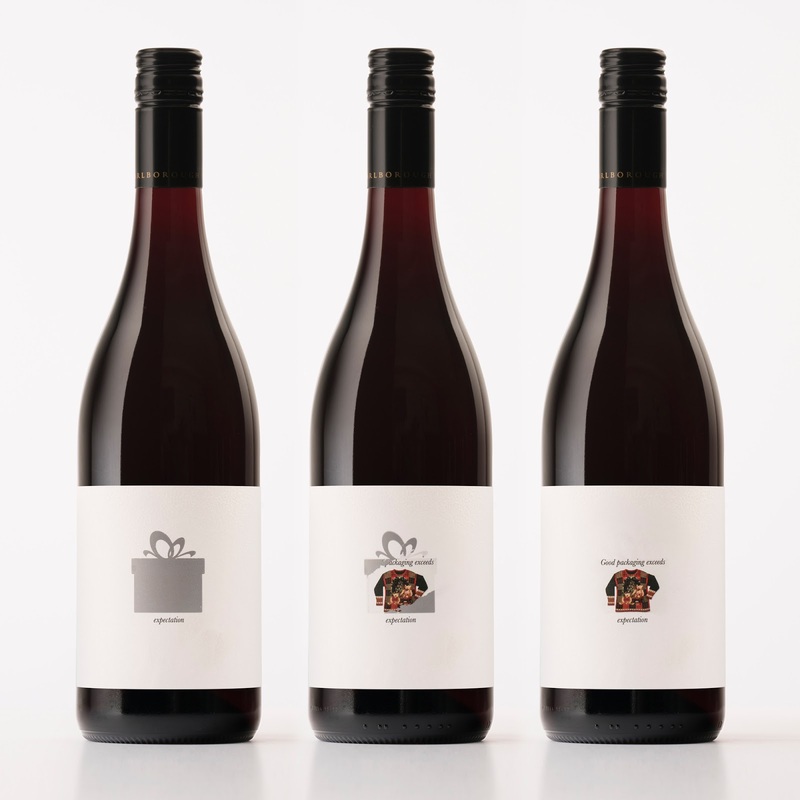 Feedback was fantastic - the packs certainly seemed to scratch an itch!